In this highly technological age, what gets re-invented as a high-tech tool, a drone to be exact, is none other than the good ole paper plane. 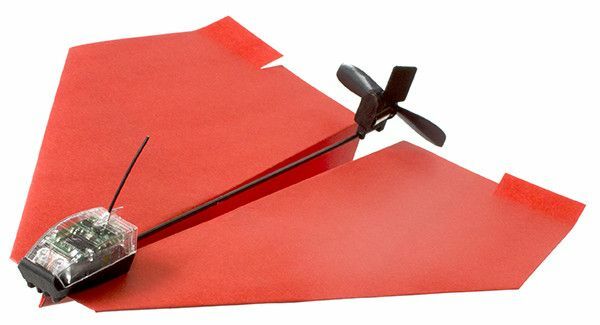 Although it says the paper-plane drone can be mounted with a live-streaming cam, it would not be a good one for professional or commercial use, such as for aerial photography services. The POWERUP FPV is made for sheer flying fun, but there’s another paper drone, meant for a nobler cause. A new research project funded by DARPA, the United States military’s experimental technology arm, has developed an autonomous drone made out of cardboard that can fly twice the distance of any fixed-range aircraft because it’s disposable. The drone only goes one way. Isn’t the world of drones getting to be more exciting than ever, and it’s only January.